The most affordable dim sum in Toronto has to be at Perfect Chinese Restaurant: on weekdays most dishes are $1.80 rising to $2 in their “VIP” room, weekends all standard dishes are $2. Of course, they do have certain “special” items peddled from the dim sum carts, but theses are still $3 or less. Even the customary tea charge is only $0.60 per person. If there’s a place that’s cheaper, I certainly haven’t found it. 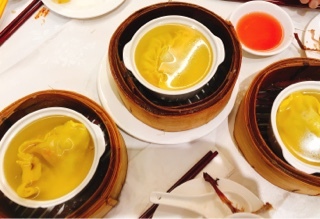 Even with the low prices, the quality of Perfect’s dim sum is good and certain dishes even larger than competitors. So how do they do it? 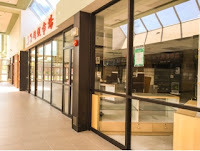 You’ll find out the moment you pull into the old neglected plaza and sit down in their dated dining room – the surroundings aren’t palatial, but the low rent and passé décor means savings in your pocket. Perfect has such a large selection it’d be impossible to highlight even half of their offerings in this post. Instead, this will focus on the dim sum that’s particularly good, bad or I find special as it’s hard to find elsewhere. Stepping away from the “hamburger” method of providing feedback, we’ll start with the poorly constructed dishes. 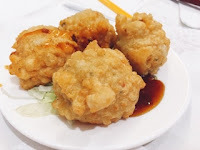 Their nuggets of tofu and fish paste ($2) has an awful mushy and sticky consistency. Save for some saltiness from the sauce, they lack flavour and are forgettable. 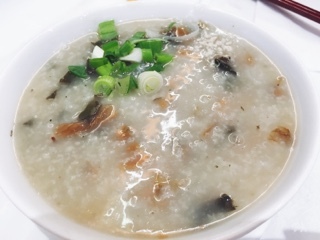 Moreover, their pork & dried vegetable congee ($2) is gritty from the poorly soaked vegetable, so I’d stick with the chicken & corn version instead. Luckily, they have a lot of good offerings. 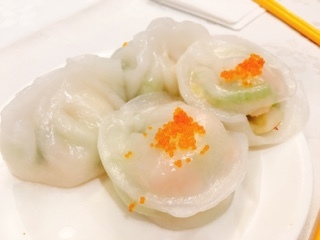 When the steamed shrimp and scallop dumpling ($2.20) is hot (a shame they’re not served covered in bamboo steamers), these umami laced dumplings are fantastic and beat the traditional har gow any day. 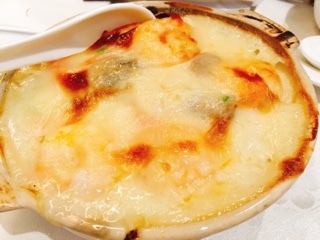 Aside from seafood, the filling contains diced celery adding a lovely refreshing crunch to the dumpling. If you’re a fan of ham shuy gok, the oval crispy orbs filled with minced pork, the shrimp version is worth a try. Shaped like crescents, inside is a fair amount of shrimp dressed up with chives. The crisp slightly sweet glutinous coating is similar to what’s used in the popular pork dish. Getting a clay pot of their regular rice ($2) will require luck as they’re generally gone by the time the cart arrives to your table (people go to the cart). If you don’t like hunting down the food, splurge on the baked seafood ($3) one that arrives piping hot with a creamy shrimp, scallop and squid sauce on top of fried rice. 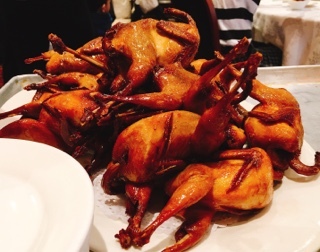 Their fried quail ($2.75) is a steal for a dish that takes so much preparation (brining, drying and then cooking). 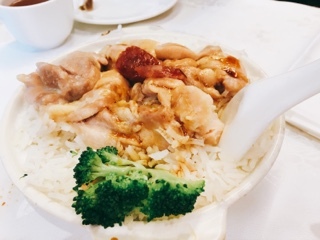 It’s well marinated for flavour and deep fried giving the skin a crispiness similar to Peking duck but the fowl meat juicier. 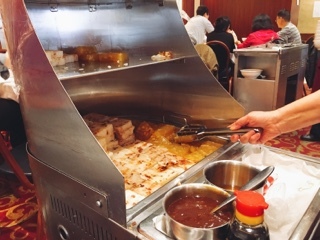 You can find pan-fried turnip ($2) or taro cake ($2) anywhere, but Perfect still uses the old fashioned cooking carts giving you a hotter dish. 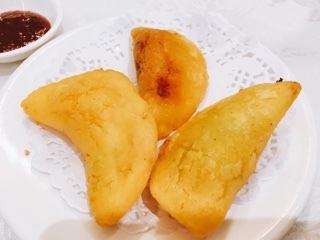 Moreover, they really take the time to allow a golden crust to develop and if you ask nicely you can mix-and-match any three pieces from the savoury turnip & taro or sweet chestnut offerings. For dessert you really should try their steamed glutinous dumplings filled with red bean paste ($2). 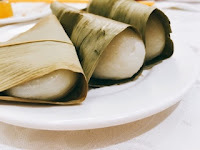 Sometimes it can be hard to rip off the bamboo leaf wrapped around it, but the chewy soft dessert is very tasty. 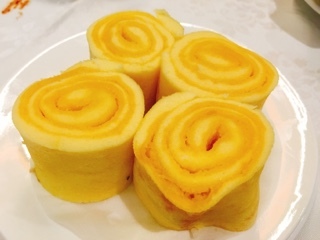 The steamed custard roll ($2.20) is also a nice choice, the fluffy light sponge cake smeared with a thick egg custard – a light but satisfying sweet. After stuffing yourself with dim sum take the time to walk around the plaza. 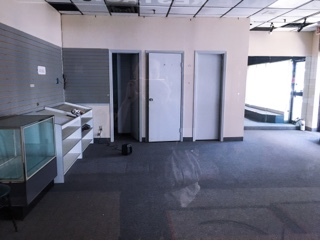 There’s an eerie quality to the abandoned stores that seem frozen in time: a relic space heater left in one and an entire supermarket filled with empty shelves. As a teenager there was even a defunct bakery with its display wedding cakes still featured prominently at the window. Perfect Chinese Restaurant has out lasted them all, survival of the fittest.